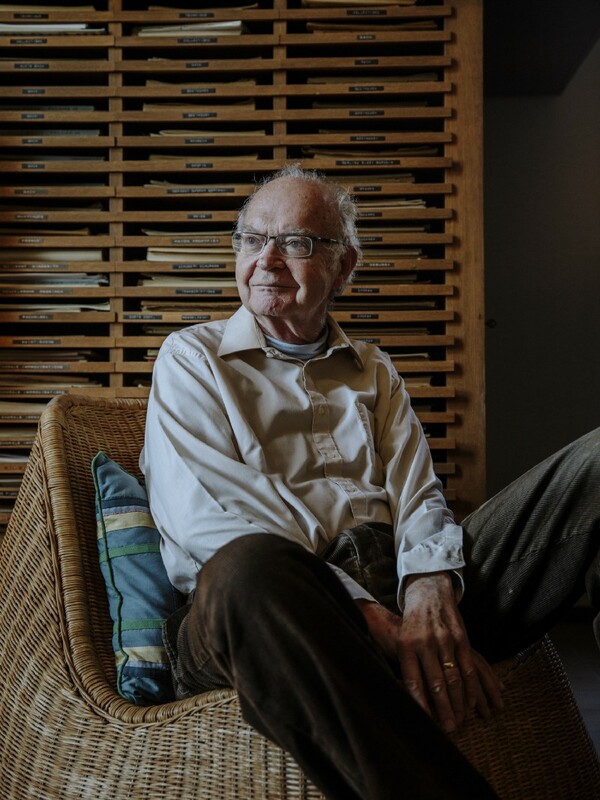 For half a century, the Stanford computer scientist Donald Knuth, who bears a slight resemblance to Yoda — albeit standing 6-foot-4 and wearing glasses — has reigned as the spirit-guide of the algorithmic realm. He is the author of “The Art of Computer Programming,” a continuing four-volume opus that is his life’s work. The first volume debuted in 1968, and the collected volumes (sold as a boxed set for about $250) were included by American Scientist in 2013 on its list of books that shaped the last century of science — alongside a special edition of “The Autobiography of Charles Darwin,” Tom Wolfe’s “The Right Stuff,” Rachel Carson’s “Silent Spring” and monographs by Albert Einstein, John von Neumann and Richard Feynman. Here is your book, the one your thousands of letters have asked us to publish. It has taken us years to do, checking and rechecking countless recipes to bring you only the best, only the interesting, only the perfect. Inside are algorithms, the recipes that feed the digital age — although, as Dr.Knuth likes to point out, algorithms can also be found on Babylonian tablets from 3,800 years ago. He is an esteemed algorithmist; his name is attached to some of the field’s most important specimens, such as the Knuth-Morris-Pratt string-searching algorithm. Devised in 1970, it finds all occurrences of a given word or pattern of letters in a text — for instance, when you hit Command+F to search for a keyword in a document. 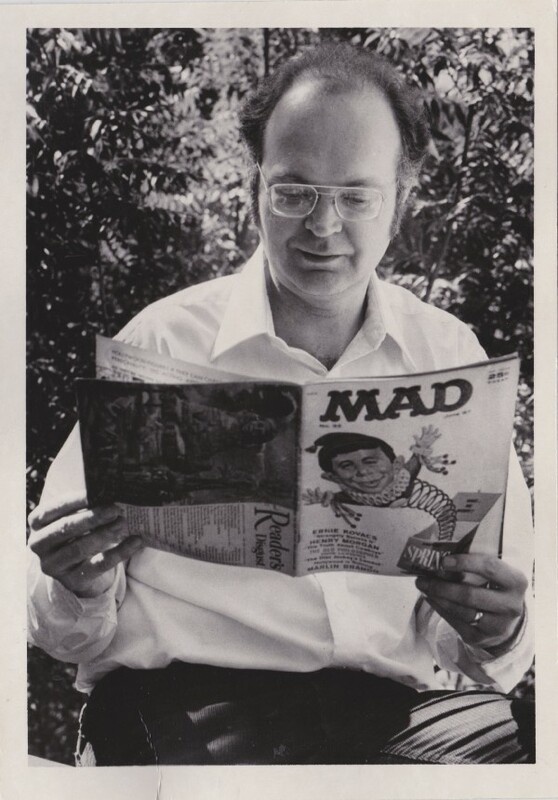 Now 80, Dr. Knuth usually dresses like the youthful geek he was when he embarked on this odyssey: long-sleeved T-shirt under a short-sleeved T-shirt, with jeans, at least at this time of year. In those early days, he worked close to the machine, writing “in the raw,” tinkering with the zeros and ones. “Knuth made it clear that the system could actually be understood all the way down to the machine code level,” said Dr. Norvig. Nowadays, of course, with algorithms masterminding (and undermining) our very existence, the average programmer no longer has time to manipulate the binary muck, and works instead with hierarchies of abstraction, layers upon layers of code — and often with chains of code borrowed from code libraries. But an elite class of engineers occasionally still does the deep dive. Following Dr. Knuth’s doctrine helps to ward off moronry. He is known for introducing the notion of “literate programming,” emphasizing the importance of writing code that is readable by humans as well as computers — a notion that nowadays seems almost twee. Dr. Knuth has gone so far as to argue that some computer programs are, like Elizabeth Bishop’s poems and Philip Roth’s “American Pastoral,” works of literature worthy of a Pulitzer. Dr. Knuth’s exacting standards, literary and otherwise, may explain why his life’s work is nowhere near done. He has a wager with Sergey Brin, the co-founder of Google and a former student (to use the term loosely), over whether Mr. Brin will finish his Ph.D. before Dr. Knuth concludes his opus. Eventually Dr. Knuth became a compiler himself, inadvertently founding a new field that he came to call the “analysis of algorithms.” A publisher hired him to write a book about compilers, but it evolved into a book collecting everything he knew about how to write for computers — a book about algorithms. “By the time of the Renaissance, the origin of this word was in doubt,” it began. “And early linguists attempted to guess at its derivation by making combinations like algiros [painful] + arithmos [number].’” In fact, Dr. Knuth continued, the namesake is the 9th-century Persian textbook author Abū ‘Abd Allāh Muhammad ibn Mūsā al-Khwārizmī, Latinized as Algorithmi. Never one for half measures, Dr. Knuth went on a pilgrimage in 1979 to al-Khwārizmī’s ancestral homeland in Uzbekistan. When Dr. Knuth started out, he intended to write a single work. 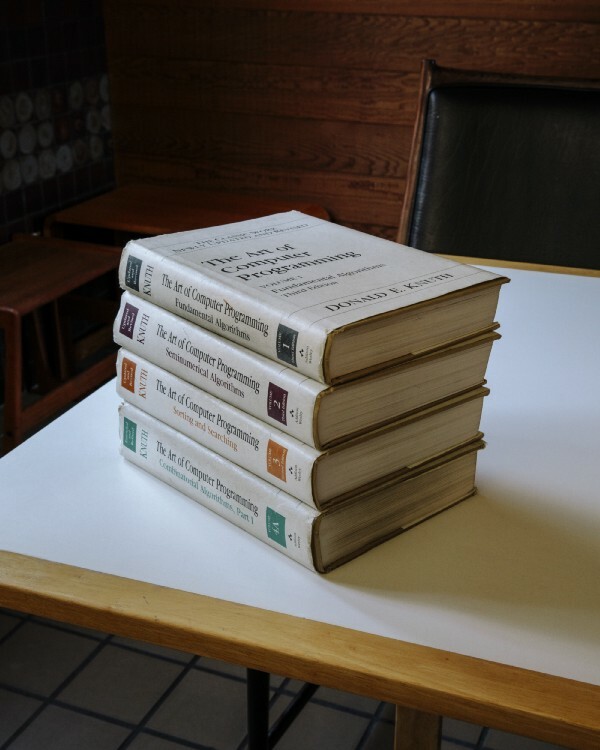 Soon after, computer science underwent its Big Bang, so he reimagined and recast the project in seven volumes. Now he metes out sub-volumes, called fascicles. The next installation, “Volume 4, Fascicle 5,” covering, among other things, “backtracking” and “dancing links,” was meant to be published in time for Christmas. It is delayed until next April because he keeps finding more and more irresistible problems that he wants to present. In order to optimize his chances of getting to the end, Dr. Knuth has long guarded his time. He retired at 55, restricted his public engagements and quit email (officially, at least). Andrei Broder recalled that time management was his professor’s defining characteristic even in the early 1980s. Dr. Knuth typically held student appointments on Friday mornings, until he started spending his nights in the lab of John McCarthy, a founder of artificial intelligence, to get access to the computers when they were free. Horrified by what his beloved book looked like on the page with the advent of digital publishing, Dr. Knuth had gone on a mission to create the TeX computer typesetting system, which remains the gold standard for all forms of scientific communication and publication. Some consider it Dr. Knuth’s greatest contribution to the world, and the greatest contribution to typography since Gutenberg. Dr. Knuth lives in Stanford, and allowed for a Sunday visitor. That he spared an entire day was exceptional — usually his availability is “modulo nap time,” a sacred daily ritual from 1 p.m. to 4 p.m. He started early, at Palo Alto’s First Lutheran Church, where he delivered a Sunday school lesson to a standing-room-only crowd. Driving home, he got philosophical about mathematics. “I’ll never know everything,” he said. “My life would be a lot worse if there was nothing I knew the answers about, and if there was nothing I didn’t know the answers about.” Then he offered a tour of his “California modern” house, which he and his wife, Jill, built in 1970. His office is littered with piles of U.S.B. sticks and adorned with Valentine’s Day heart art from Jill, a graphic designer. Most impressive is the music room, built around his custom-made, 812-pipe pipe organ. The day ended over beer at a puzzle party. But then, Dr. Demaine said, the field went and got practical. 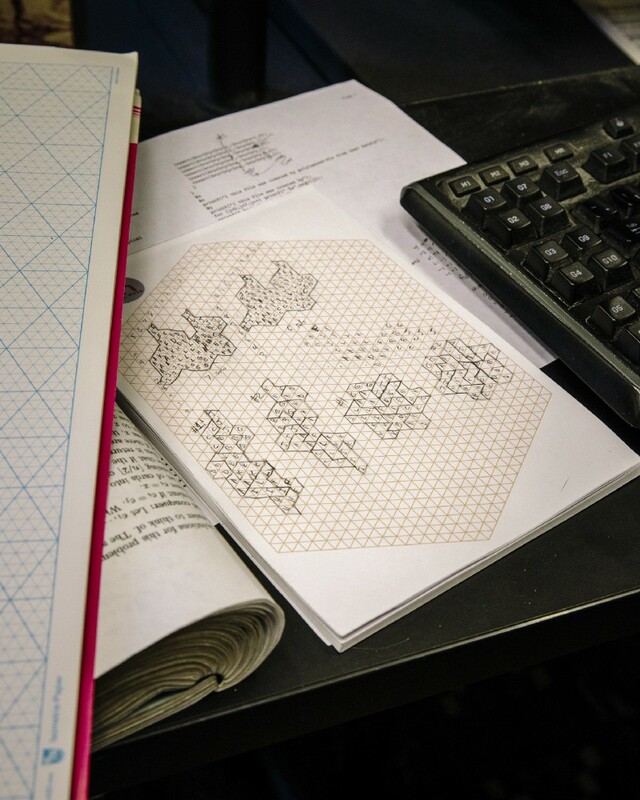 Engineers and scientists and artists are teaming up to solve real-world problems — protein folding, robotics, airbags — using the Demaines’s mathematical origami designs for how to fold paper and linkages into different shapes. Of course, all the algorithmic rigmarole is also causing real-world problems. Algorithms written by humans — tackling harder and harder problems, but producing code embedded with bugs and biases — are troubling enough. More worrisome, perhaps, are the algorithms that are not written by humans, algorithms written by the machine, as it learns. All the more so if you’re an algorithm versed in Knuth. “Today, programmers use stuff that Knuth, and others, have done as components of their algorithms, and then they combine that together with all the other stuff they need,” said Google’s Dr. Norvig. 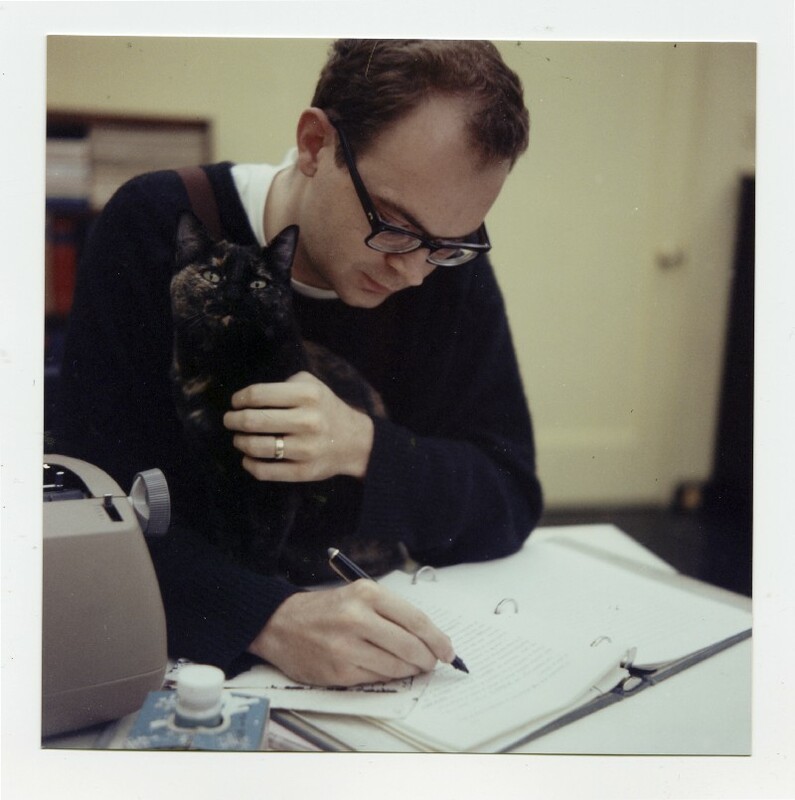 Lucky, then, Dr. Knuth keeps at it. He figures it will take another 25 years to finish “The Art of Computer Programming,” although that time frame has been a constant since about 1980. Might the algorithm-writing algorithms get their own chapter, or maybe a page in the epilogue? “Definitely not,” said Dr. Knuth. Note: open since last September and seen here and there, this exhibition at the Withney about the uses of rules and code in art. It follows a similar exhibition - and historical as well - this year at the MOMA, Thinking Machines. This certainly demonstrates an increasing desire and interest in the historization of six decades - five in the context of this show - of "art & technologies" (not yet "design & technologies", while "architecture and digital" was done at the CCA). Those six decades remained almost under the radar for long and there will be obviously a lot of work to do to write this epic! Programmed: Rules, Codes, and Choreographies in Art, 1965–2018 establishes connections between works of art based on instructions, spanning over fifty years of conceptual, video, and computational art. The pieces in the exhibition are all “programmed” using instructions, sets of rules, and code, but they also address the use of programming in their creation. The exhibition links two strands of artistic exploration: the first examines the program as instructions, rules, and algorithms with a focus on conceptual art practices and their emphasis on ideas as the driving force behind the art; the second strand engages with the use of instructions and algorithms to manipulate the TV program, its apparatus, and signals or image sequences. Featuring works drawn from the Whitney’s collection, Programmed looks back at predecessors of computational art and shows how the ideas addressed in those earlier works have evolved in contemporary artistic practices. At a time when our world is increasingly driven by automated systems, Programmed traces how rules and instructions in art have both responded to and been shaped by technologies, resulting in profound changes to our image culture. The exhibition is organized by Christiane Paul, Adjunct Curator of Digital Art, and Carol Mancusi-Ungaro, Melva Bucksbaum Associate Director for Conservation and Research, with Clémence White, curatorial assistant. Note: As a direct follow-up to the May 1968 celebrations, Makery published (in French) an article retracing a history of "inhabitable utopias", or different architectures that have since been experimented with or thought about. The short article is mainly illustrated with an interactive timeline presenting these experiments carried out over the past 50 years. Depuis l’urbanisme utopique issu de Mai 68 jusqu’aux «Lieux infinis» mis en avant par le collectif Encore Heureux à la Biennale de Venise 2018, Makery balaie cinquante ans d’alternatives architecturales. La webographie suit le déroulé de la chronologie ci-dessus. L’image qui ouvre cette chronologie est le Makrolab de Marko Peljhan, à Rottnest Island, en Australie, 2000. Instant City, Peter Cook, Archigram, Royaume-Uni, 1968. « Structures gonflables », exposition au musée d’Art moderne de la ville de Paris, du 1er au 28 mars 1968. Whole Earth Catalog, édité par Stewart Brand, de 1968 à 1971 aux Etats-Unis. L’église gonflable de Montigny-lès-Cormeilles, par Hans-Walter Müller, France, 1969. Inflatocookbook, du collectif Ant Farm, Etats-Unis, 1970. Le laboratoire urbain d’Arcosanti, Paolo Soleri, Arizona, Etats-Unis, 1970. La « ville libre » de Christiania, Copenhague, Danemark, 1971. Le restaurant FOOD de Gordon Matta-Clark, New York, 1971, exposition Gordon Matta-Clark, anarchitecte, musée du Jeu de Paume, du 5 juin au 23 septembre 2018. Superstudio, agence d’architecture, Italie, 1966-1978. Shelter, Lloyd Kahn, Etats-Unis, 1973. Lutte du Larzac, France, 1973-1982. Sunspots, Steve Baer, Zomeworks, Etats-Unis, 1975. Comment habiter la terre, Yona Friedman, 1976. Casa Bola, Eduardo Longo, São Paulo, Brésil, 1979. Les cabanes de Josep Pujiula à Argelaguer, province de Gérone, Catalogne, Espagne, 1980-2016. Le Jardin en mouvement de Gilles Clément, 1985. Le Magasin à Grenoble, Patrick Bouchain, 1986. Future Shack, Sean Godsell, Australie, 1985. Brevétisation du container en habitat par Philip C. Clark, Etats-Unis, 1987. Black Rock City, la ville éphémère du festival Burning Man, Nevada, Etats-Unis, 1990- . Le projet A.G. Gleisdreieck, Berlin, Allemagne, 1990- . Reclaim The Streets, Londres, 1991- . Castlemorton Common Festival, Royaume-Uni, 1992. Les maisons en carton de Shigeru Ban, Kobe, Japon, 1995. Muf (Londres), Stalker (Italie), Coloco (Paris), Bruit du Frigo (Bordeaux), créés en 1996. Makrolab, Marko Peljhan, Projekt Atol, Slovénie, 1997-2007. Manifestations de Seattle contre l’Organisation mondiale du commerce, Etats-Unis, 1999. Ecobox, Atelier d’architecture autogérée, Paris, 2002. L’architecture du RAB, Exyzt, Paris, France, 2003. Parking Day, Rebar, San Francisco, Etats-Unis, 2006. Zone à Défendre, Notre-Dame-des-Landes, France, 2008- . Tactical Urbanism, Mike Lydon et Anthony Garcia, Island Press, 2015. Cloud City, Tomás Saraceno, Metropolitan Museum of Art, New York, Etats-Unis, 2012. Fab City Global, création en 2014 et Fab City Summit, à Paris du 11 au 13 juillet 2018. Assemble Studio (Royaume-Uni), Turner Prize 2015. Accueil des migrants porte de la Chapelle, Julien Beller, Paris, 2016-2018. Mai 68. L’architecture aussi !, Cité de l’architecture et du patrimoine, Paris, du 16 mai au 17 septembre 2018. Lieux infinis, agence Encore Heureux, Pavillon français de la Biennale internationale d’architecture de Venise 2018. The webography follows the chronology above. The image that opens this chronology is Marko Peljhan's Makrolab, Rottnest Island, Australia, 2000. Instant City, Peter Cook, Archigram, United Kingdom, 1968. "Inflatable structures", exhibition at the Musée d'Art moderne de la ville de Paris, from 1 to 28 March 1968. Whole Earth Catalog, published by Stewart Brand, from 1968 to 1971 in the United States. The inflatable church of Montigny-lès-Cormeilles, by Hans-Walter Müller, France, 1969. Inflatocookbook, by the Ant Farm collective, United States, 1970. The Arcosanti Urban Laboratory, Paolo Soleri, Arizona, USA, 1970. The "Free City" of Christiania, Copenhagen, Denmark, 1971. The FOOD restaurant of Gordon Matta-Clark, New York, 1971, Gordon Matta-Clark exhibition, an architect, Jeu de Paume museum, from June 5 to September 23, 2018. Superstudio, architectural firm, Italy, 1966-1978. Shelter, Lloyd Kahn, United States, 1973. Sunspots, Steve Baer, Zomeworks, USA, 1975. How to Live on the Earth, Yona Friedman, 1976. Casa Bola, Eduardo Longo, São Paulo, Brazil, 1979. Josep Pujiula's huts in Argelaguer, province of Girona, Catalonia, Spain, 1980-2016. Le Jardin en mouvement by Gilles Clément, 1985. Future Shack, Sean Godsell, Australia, 1985. Patenting of the container in housing by Philip C. Clark, United States, 1987. Black Rock City, the ephemeral city of the Burning Man festival, Nevada, USA, 1990- . The A.G. Gleisdreieck project, Berlin, Germany, 1990- . Reclaim The Streets, London, 1991- . Castlemorton Common Festival, United Kingdom, 1992. The cardboard houses of Shigeru Ban, Kobe, Japan, 1995. Muf (London), Stalker (Italy), Coloco (Paris), Bruit du Frigo (Bordeaux), created in 1996. Makrolab, Marko Peljhan, Projekt Atol, Slovenia, 1997-2007. Seattle demonstrations against the World Trade Organization, United States, 1999. Ecobox, Atelier d'architecture autogérée, Paris, 2002. L'architecture du RAB, Exyzt, Paris, France, 2003. Parking Day, Rebar, San Francisco, USA, 2006. Tactical Urbanism, Mike Lydon and Anthony Garcia, Island Press, 2015. Cloud City, Tomás Saraceno, Metropolitan Museum of Art, New York, United States, 2012. Fab City Global, created in 2014 and Fab City Summit, in Paris from 11 to 13 July 2018. Assemble Studio (United Kingdom), Turner Prize 2015. Reception of migrants at Porte de la Chapelle, Julien Beller, Paris, 2016-2018. May 68. Architecture too, Cité de l'architecture et du patrimoine, Paris, from 16 May to 17 September 2018. Lieux infinis, Encore Heureux agency, French Pavilion at the 2018 Venice International Architecture Biennale. 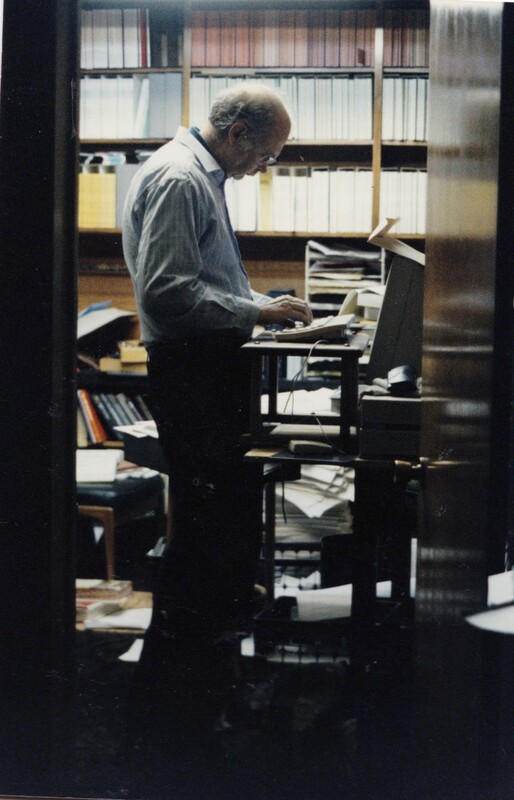 Note: just after archiving the MOMA exhibition on | rblg, here comes a small post by Eliza Pertigkiozoglou about the Architecture Machine Group at MIT, same period somehow. This groundbreaking architecture teaching unit and research experience that then led to the MIT Media Lab (Beatriz Colomina spoke about it in its research about design teaching and "Radical Pedagogies" - we spoke about it already on | rblg in the context of a book about the Black Mountain College). The post details Urban 5, one of the first project the group developed that was supposed to help (anybody) develop an architecture project, in an interactive way. This story is also very well explained and detailed by Orit Halpern in the recent book by CCA: When is the Digital in Architecture? Also some intersting posts about Max Bense, Christopher Alexander, Cedric Price and Gordon Pask on the same Medium account. Nicholas Negroponte (1943) founded in 1967, together with Leon Groisser, the Architecture Machine Group (Arch Mac) at MIT, which later in 1985 transformed to MIT Media Lab. Negroponte’s vision was an architecture machine that would turn the design process into a dialogue, altering the traditional human-machine dynamics. His approach was significantly influenced by recent discussion on artificial intelligence, cybernetics, conversation theory, technologies for learning, sketch recognition and representation. Arch Mac laboratory combined architecture, engineering and computing to develop architectural applications and artificially intelligent interfaces that question the design process and the role of its actors. 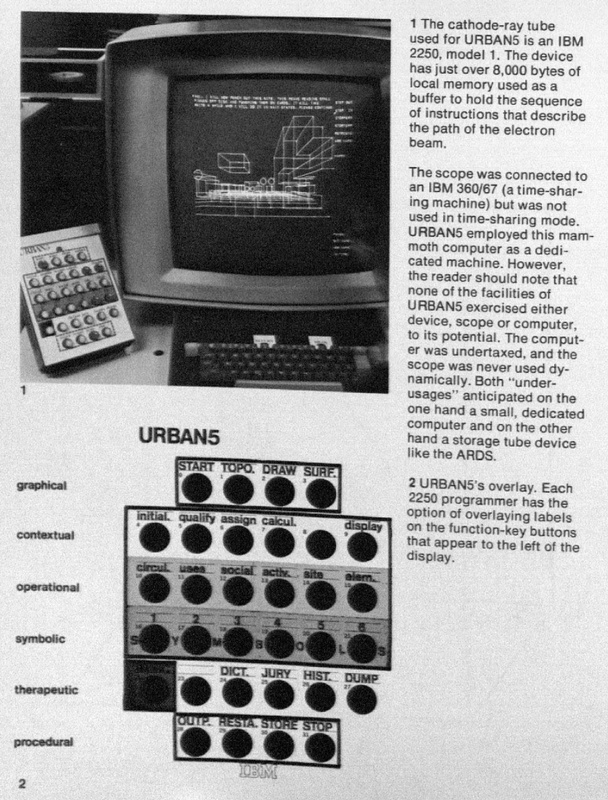 Urban 5 was the first research project of the lab developed in 1973, as an improved version of Urban 2. Interestingly, in his book “Architecture Machine” Negroponte explains, evaluate and criticize Urban5, contemplating on the successes and insufficiencies of the program that aimed to serve as a “toy” for experimentation rather than a tool to handle real design problems. It was “a system that could monitor design procedures” and not design tool by itself. As explained in the book, Urban’s 5 original goal was to “study the desirability and feasibility of conversing with a machine about environmental design project… using the computer as an objective mirror of the user’s own design criteria and form decisions; reflecting formed from a larger information base than the user’s personal experience”. Urban 5 communicated with the architect-user first by giving him instructions, then by learning from him and eventually by dialoguing with him. Two languages were employed for that communication: graphic language and English language. The graphic language was using the abstract representation of cubes (nouns). The English language was text appearing on the screen (verbs). The cubes could be added incrementally and had qualities, such as sunlight, visual and acoustical privacy, which could be explicitly assigned by the user or implicitly by the machine. When the user was first introduced to the software, the software was providing instructions. Then the user could could explicitly assign criteria or generate forms graphically in different contexts. 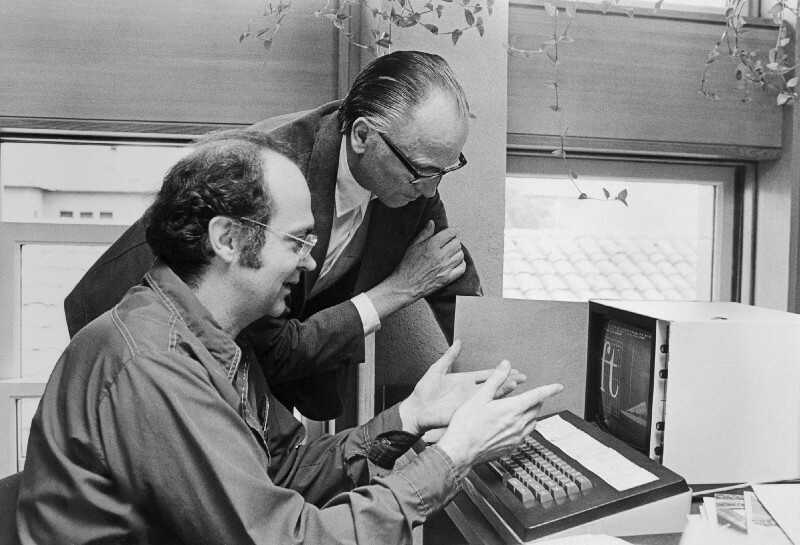 What Negroponte called context was defined by mode, which referred to different display modes that allow the designer different kinds of operations. For example, in the TOPO mode the architect can manipulate topography in plan, while in the DRAW mode he/she can manipulate the viewing mode and the physical elements. In the final stage of this human-machine relationship there was a dialogue between designer and the computer :when there was an inconsistency between the assigned criteria and the generated form, the computer informed the architect and he/she could choose the next step: ignore, postpone, and alter the criterion or the form. Negreponte’s criticism give an insight of Arch Mac’s explorations, goals and self-reflection on the research project. To Negroponte, Urban 5 insufficiency was summarized in four main points. First, it was based on assumptions of the design process that can be denuded: architecture is additive(accumulation of cubes), labels are symbols and design is non-deterministic. Also, it offered specific and predetermined design services. Although different combinations could produce numerous results, they were still finite. The designer has always to decide what should be the next step in the cross-reference between the contexts/modes, without any suggestion or feedback from the computer. Last point of his criticism was that Urban 5 interacts with only one designer and the interaction is strictly mediated through “a meager selection of communication artifacts”, meaning the keyboard and the screen. The medium and the language itself. Although Urban 5 is a simple program with limited options, the points that are addressed are basically the constraints of current CAD programs. This is, up to an extent, expected, given the medium and the language frames the interaction between man and the machine.“The world view of culture is limited by the structure of the language which that culture uses.”(Whorf, 1956) The world view of a machine is similarly marked by linguistic structure”(1). Nevertheless, it seems that Negroponte’s and Arch Mac explorations were ahead of their time, offered an insight in human-machine design interactions, suggesting “true dialogue”. “Urban 5 suggests an evolutionary system, an intelligent system — but, in itself , is none of them”(2). Note: following the exhibition Thinking Machines: Art and Design in the Computer Age, 1959–1989 until last April at MOMA, images of the show appeared on the museum's website, with many references to projects. After Archeology of the Digital at CCA in Montreal between 2013-17, this is another good contribution to the history of the field and to the intricate relations between art, design, architecture and computing. How cultural fields contributed to the shaping of this "mass stacked media" that is now built upon the combinations of computing machines, networks, interfaces, services, data, data centers, people, crowds, etc. is certainly largely underestimated. Literature start to emerge, but it will take time to uncover what remained "out of the radars" for a very long period. They acted in fact as some sort of "avant-garde", not well estimated or identified enough, even by specialized institutions and at a time when the name "avant-garde" almost became a "s-word"... or was considered "dead". Unfortunately, no publication seems to have been published in relation to the exhibition, on the contrary to the one at CCA, which is accompanied by two well documented books. 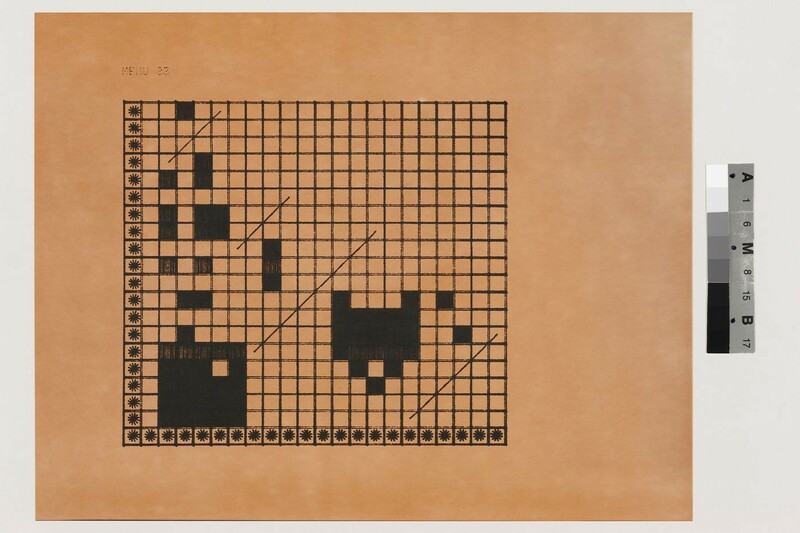 Drawn primarily from MoMA's collection, Thinking Machines: Art and Design in the Computer Age, 1959–1989 brings artworks produced using computers and computational thinking together with notable examples of computer and component design. The exhibition reveals how artists, architects, and designers operating at the vanguard of art and technology deployed computing as a means to reconsider artistic production. The artists featured in Thinking Machines exploited the potential of emerging technologies by inventing systems wholesale or by partnering with institutions and corporations that provided access to cutting-edge machines. They channeled the promise of computing into kinetic sculpture, plotter drawing, computer animation, and video installation. Photographers and architects likewise recognized these technologies' capacity to reconfigure human communities and the built environment. Thinking Machines includes works by John Cage and Lejaren Hiller, Waldemar Cordeiro, Charles Csuri, Richard Hamilton, Alison Knowles, Beryl Korot, Vera Molnár, Cedric Price, and Stan VanDerBeek, alongside computers designed by Tamiko Thiel and others at Thinking Machines Corporation, IBM, Olivetti, and Apple Computer. The exhibition combines artworks, design objects, and architectural proposals to trace how computers transformed aesthetics and hierarchies, revealing how these thinking machines reshaped art making, working life, and social connections. Organized by Sean Anderson, Associate Curator, Department of Architecture and Design, and Giampaolo Bianconi, Curatorial Assistant, Department of Media and Performance Art. Note: Turing Machines are now undoubtedly part of pop culture, aren't they? It took Richard Ridel six months of tinkering in his workshop to create this contraption--a mechanical Turing machine made out of wood. The silent video above shows how the machine works. But if you're left hanging, wanting to know more, I'd recommend reading Ridel's fifteen page paper where he carefully documents why he built the wooden Turing machine, and what pieces and steps went into the construction. If this video prompts you to ask, what exactly is a Turing Machine?, also consider adding this short primer by philosopher Mark Jago to your media diet. Note: a proto-smart-architecture project by Cedric Price dating back from the 70ies, which sounds much more intersting than almost all contemporary smart architecture/cities proposals. These lattest being in most cases glued into highly functional approaches driven by the "paths of less resistance-frictions", supported if not financed by data-hungry corporations. That's not a desirable future to my point of view. "(...). If not changed, the building would have become “bored” and proposed alternative arrangements for evaluation (...)"
Cedric Price’s proposal for the Gilman Corporation was a series of relocatable structures on a permanent grid of foundation pads on a site in Florida. Cedric Price asked John and Julia Frazer to work as computer consultants for this project. They produced a computer program to organize the layout of the site in response to changing requirements, and in addition suggested that a single-chip microprocessor should be embedded in every component of the building, to make it the controlling processor. This would result in an “intelligent” building which controlled its own organisation in response to use. If not changed, the building would have become “bored” and proposed alternative arrangements for evaluation, learning how to improve its own evaluation, learning how to improve its own organisation on the basis of this experience. Generator (1976-79) sought to create conditions for shifting, changing personal interactions in a reconfigurable and responsive architectural project. "A building which will not contradict, but enhance, the feeling of being in the middle of nowhere; has to be accessible to the public as well as to private guests; has to create a feeling of seclusion conducive to creative impulses, yet…accommodate audiences; has to respect the wildness of the environment while accommodating a grand piano; has to respect the continuity of the history of the place while being innovative." The proposal consisted of an orthogonal grid of foundation bases, tracks and linear drains, in which a mobile crane could place a kit of parts comprised of cubical module enclosures and infill components (i.e. timber frames to be filled with modular components raging from movable cladding wall panels to furniture, services and fittings), screening posts, decks and circulation components (i.e. walkways on the ground level and suspended at roof level) in multiple arrangements. "The whole intention of the project is to create an architecture sufficiently responsive to the making of a change of mind constructively pleasurable." 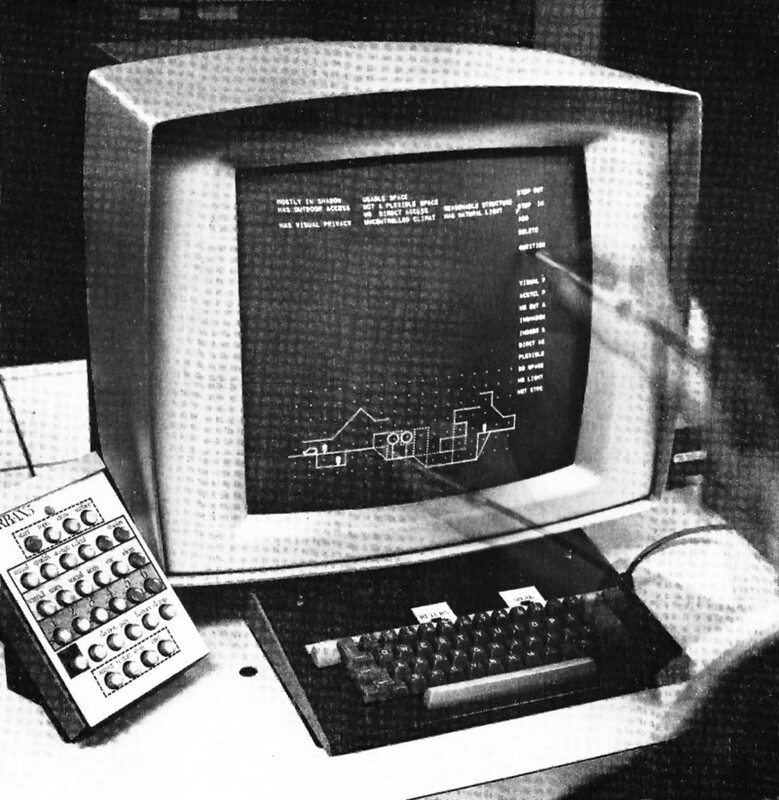 They proposed four programs that would use input from sensors attached to Generator’s components: the first three provided a “perpetual architect” drawing program that held the data and rules for Generator’s design; an inventory program that offered feedback on utilisation; an interface for “interactive interrogation” that let users model and prototype Generator’s layout before committing the design. The powerful and curious boredom program served to provoke Generator’s users. “In the event of the site not being re-organized or changed for some time the computer starts generating unsolicited plans and improvements,” the Frazers wrote. These plans would then be handed off to Factor, the mobile crane operator, who would move the cubes and other elements of Generator. “In a sense the building can be described as being literally ‘intelligent’,” wrote John Frazer—Generator “should have a mind of its own.” It would not only challenge its users, facilitators, architect and programmer—it would challenge itself. The first proposal, associated with a level of ‘interactive’ relationship between ‘architect/machine’, would assist in drawing and with the production of additional information, somewhat implicit in the other parallel developments/ proposals. Finally, the last proposal was [. . .] an extension [. . .] to generate unsolicited plans, improvements and modifications in response to users’ comments, records of activities, or even by building in a boredom concept so that the site starts to make proposals about rearrangements of itself if no changes are made. The program could be heuristic and improve its own strategies for site organisation on the basis of experience and feedback of user response. In a certain way, the idea of a computational aid in the Generator project also acknowledged and intended to promote some degree of unpredictability. Generator, even if unbuilt, had acquired a notable position as the first intelligent building project. 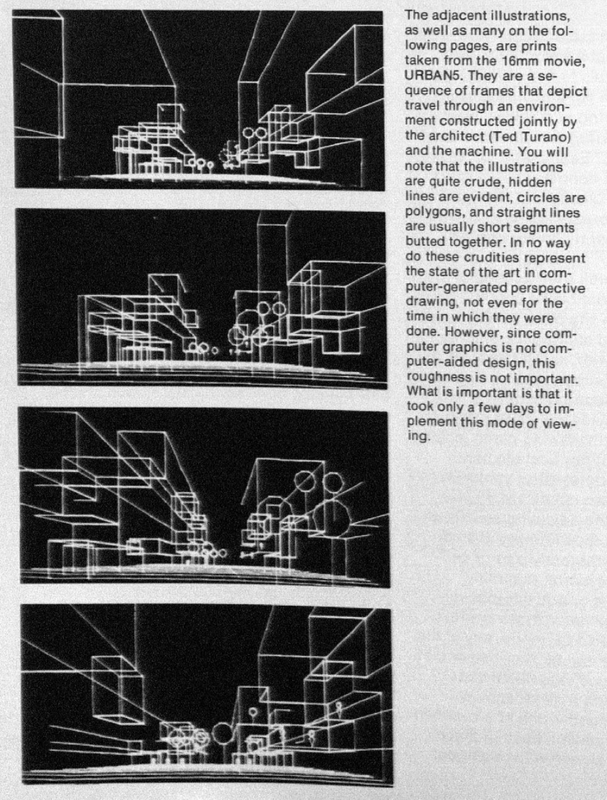 Cedric Price and the Frazers´ collaboration constituted an outstanding exchange between architecture and computational systems. The Generator experience explored the impact of the new techno-cultural order of the Information Society in terms of participatory design and responsive building. At an early date, it took responsiveness further; and postulates like those behind the Generator, where the influence of new computational technologies reaches the level of experience and an aesthetics of interactivity, seems interesting and productive. Frazer to C. Price, (Letter mentioning ‘Second thoughts but using the same classification system as before’), 11 January 1979. Generator document folio DR1995:0280:65 5/5, Cedric Price Archives (Montreal: Canadian Centre for Architecture). Note: with a bit of delay (delay can be an interesting attitude nowadays), but the show is still open... and the content still very interesting! The beginnings of digital drafting and computational design will be on display at the Museum of Modern Art (MoMA) starting November 13th, as the museum presents Thinking Machines: Art and Design in the Computer Age, 1959–1989. Spanning 30 years of works by artists, photographers, and architects, Thinking Machines captures the postwar period of reconciliation between traditional techniques and the advent of the computer age. Organized by Sean Anderson, associate curator in the museum’s Department of Architecture and Design, and Giampaolo Bianconi, a curatorial assistant in the Department of Media and Performance Art, the exhibition examines how computer-aided design became permanently entangled with art, industrial design, and space planning. Drawings, sketches, and models from Cedric Price’s 1978-80 Generator Project, the never-built “first intelligent building project” will also be shown. The response to a prompt put out by the Gilman Paper Corporation for its White Oak, Florida, site to house theater and dance performances alongside travelling artists, Price’s Generator proposal sought to stimulate innovation by constantly shifting arrangements. Ceding control of the floor plan to a master computer program and crane system, a series of 13-by-13-foot rooms would have been continuously rearranged according to the users’ needs. Only constrained by a general set of Price’s design guidelines, Generator’s program would even have been capable of rearranging rooms on its own if it felt the layout hadn’t been changed frequently enough. 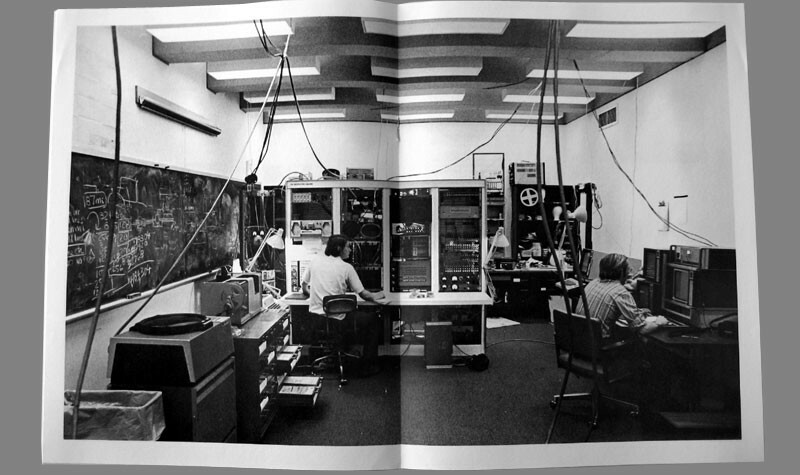 Raising important questions about the interaction between a space and its occupants, Generator House laid the groundwork for computational architecture and smart building systems. Thinking Machines: Art and Design in the Computer Age, 1959–1989 will be running from November 13th to April 8th, 2018. MoMA members can preview the show from November 10th through the 12th. Note: some early optic art from 1802? "(...). Nevertheless, in the early-19th century Young put forth a number of theoretical reasons supporting the wave theory of light, and he developed two enduring demonstrations to support this viewpoint. With the ripple tank he demonstrated the idea of interference in the context of water waves. With the Young's interference experiment, or double-slit experiment, he demonstrated interference in the context of light as a wave. (...)"